A modest, simplistic place that reads The Irani Café has opened in Kandivali East in the Thakur Village complex. Surrounded by a plethora of schools and colleges, the café is designed to cater to the students – simple interiors, affordable pricing, and quick service. The café is a delivery counter with a small seating section outside that can accommodate about 12-15 people at a time. While it’s not a typical Irani Café selling kheema pav and raspberry soda, their menu is inspired by an Irani café. 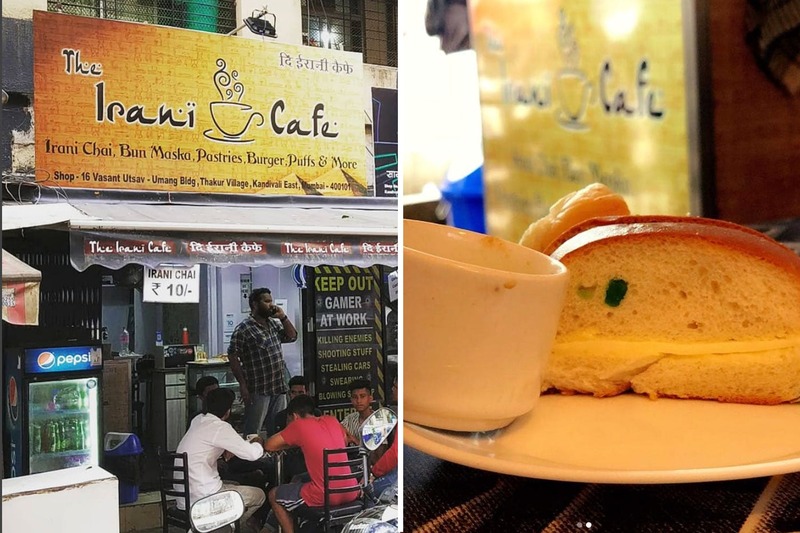 Their speciality is Irani tea (INR 10) served with a range of bun options like maska, jam, double maska, and double maska jam cheese (all under INR 45). If you’re looking for something more filling, they have variety of Maggi (INR 30-55), different egg preparations (INR 25-50), bhurji pav (INR 40), sandwiches – chicken and vegetarian, rolls, burgers, puffs and pizza (INR 50). On the sweeter side of things, they serve pastries all under INR 45. And their chocolate cream truffle pastry is especially recommended. We don’t think you guys have any reason to attend another lecture on an empty stomach, ever. We understand you barely make it to lectures on time. But The Irani Café will help your empty tummies even on a short notice. Have a delicious time!